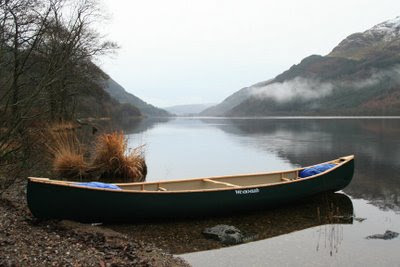 Formally established in 1968, Wenonah Canoe is the largest maker of ultra-light and high-performance canoes. 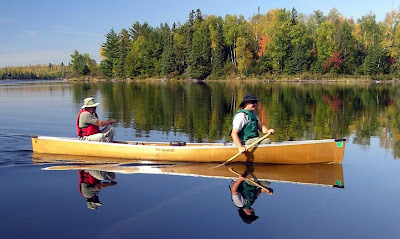 The Minnesota-based company is the product of years of paddling passion by founder Mike Cichanowski. Something special is in the water up there in Winona, Minnesota--literally. Though you spent a good deal of time in the Adirondacks and the High Peaks, you never aspired to be a Forty-Sixer. Instead, you preferred the views from the water. The first few times, being jounced about in the back of a rickety van all the way up I-87 and onto the country roads, you were riveted to the window as the scenery scrolled past. The elevation changed and your ears clicked and the brakes squeaked, but finally you met up with Flint Chum. A grizzled woodsman, Flint Chum lived an hour outside of Lake Placid because he didn't fancy what he called "the city life." But Flint Chum, who went by the nickname "Elk" (probably for having hunted such an animal and brought it down with his bare hands), was an exceptional guide; he knew the waterways better than the back of his own knotty hand. And it was old Elk Chum who made you first realize. 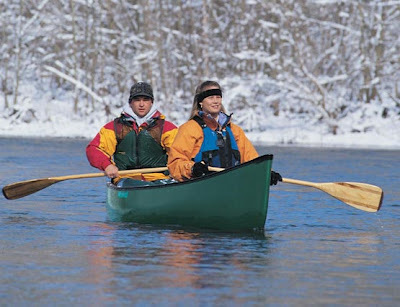 You and your partner struggled to portage your elephantine Mad River canoe, lifted overhead, backs breaking, screaming into its upside-down hollows every quarter mile, and ultimately had to stop to rest on the wooded trail. While you nursed throbbing hands and aching shoulders by the wayside, old Elk Chum came practically jogging up the trail, whistling, with his Kevlar Wenonah canoe on his back, his hat and beard dampened by its runoff. Here was Elk Chum, the man who bugled at and then broke the necks of large deer by their antlers, demonstrating the meaning of ultra-light canoes. He knew. He knew.